If you wish to hire the hall, be it for a birthday, christening or wake or any other use please use the inquiry form on the bookings page. The hall has a seating capacity of 60 persons and a standing capacity of 80. 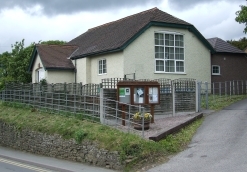 The hall also hosts a satellite Post Office on Mondays (1230 to 430pm) and Thursdays (2.45pm to 4.45pm) A list of weekly events at the hall is posted lower down the page.